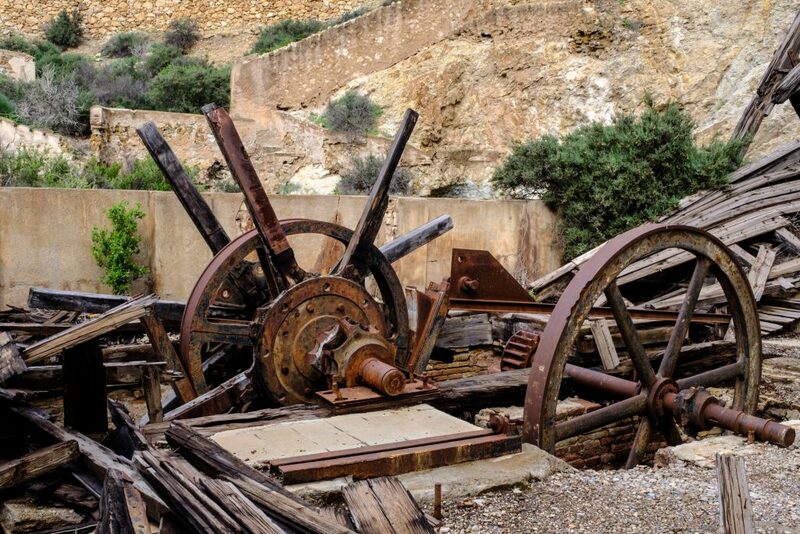 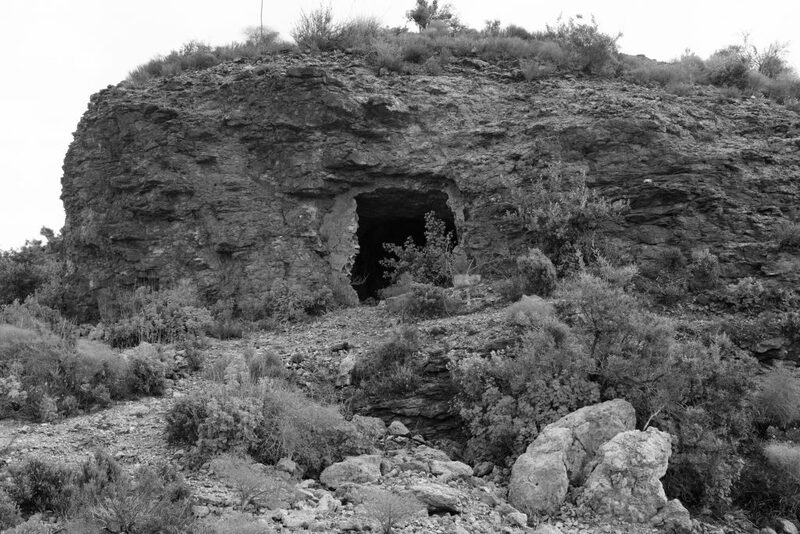 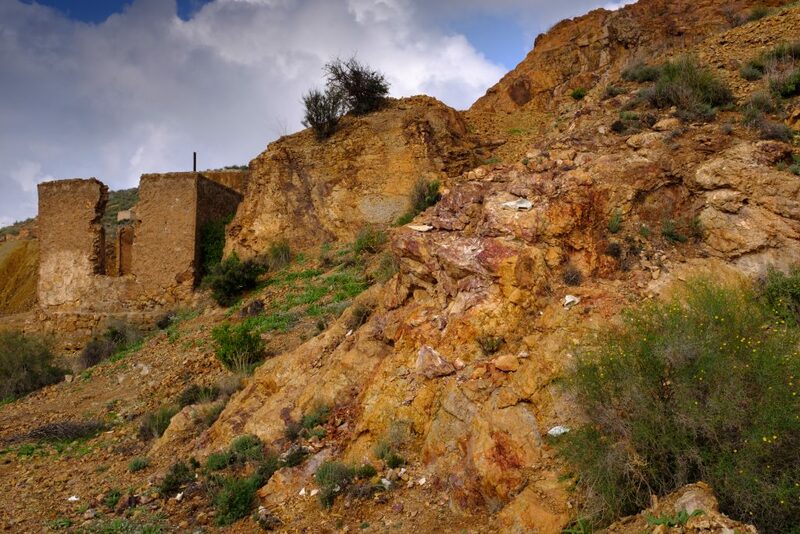 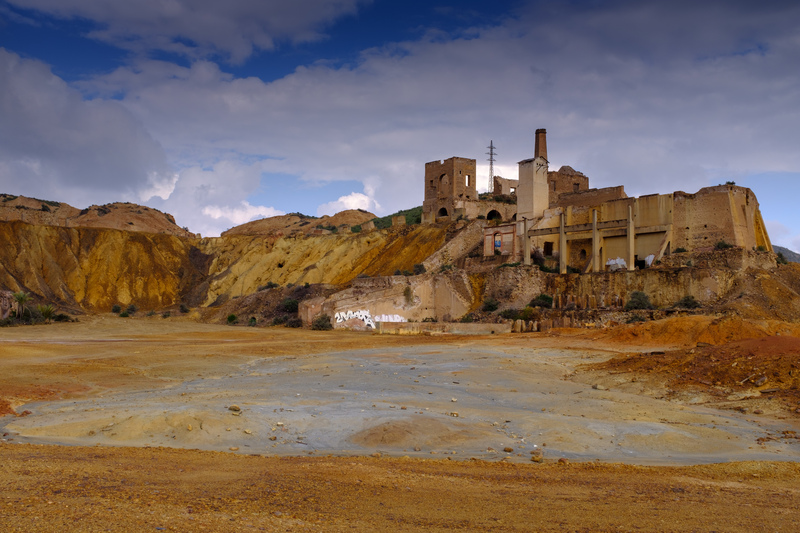 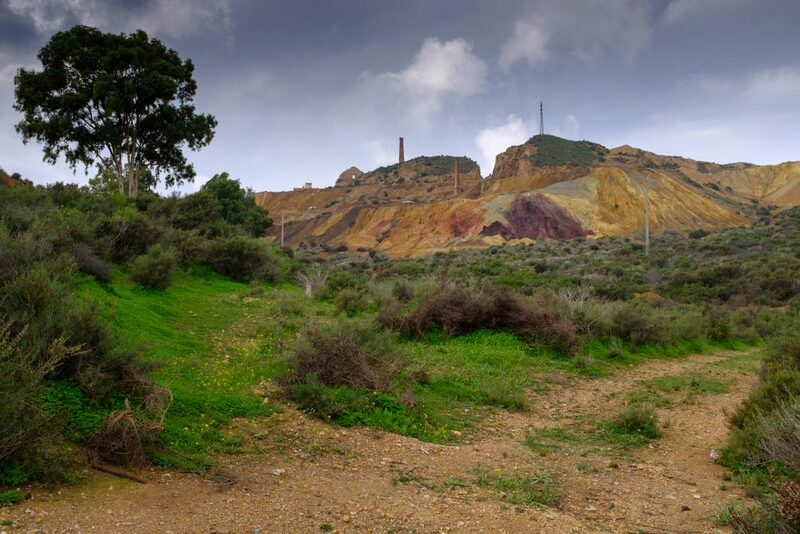 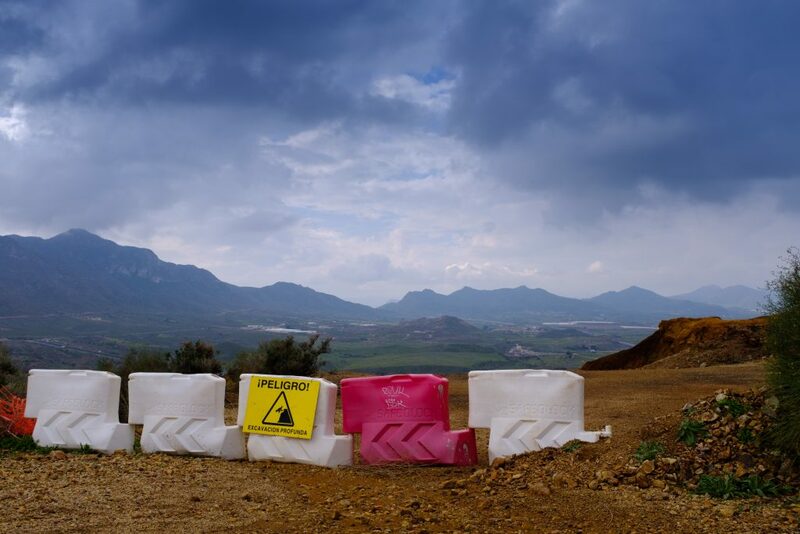 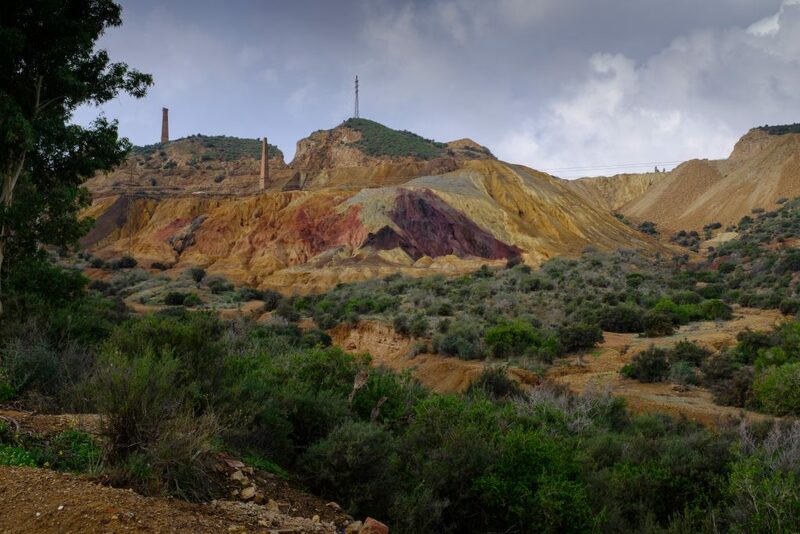 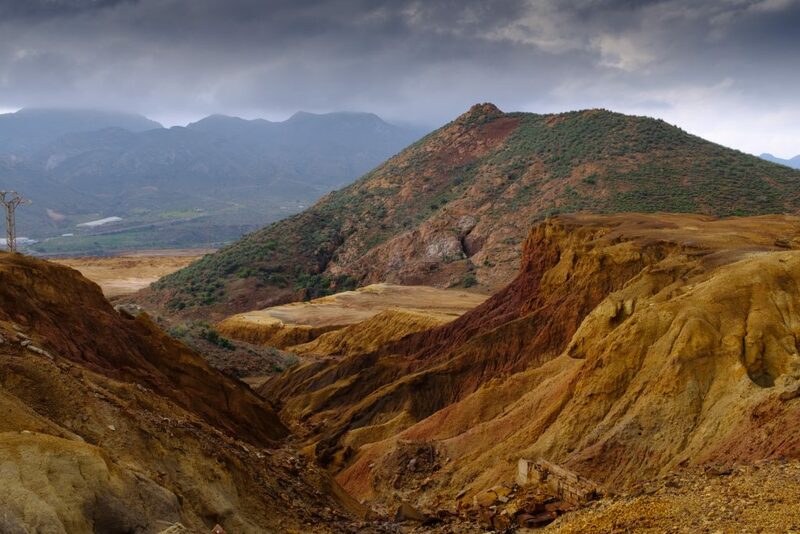 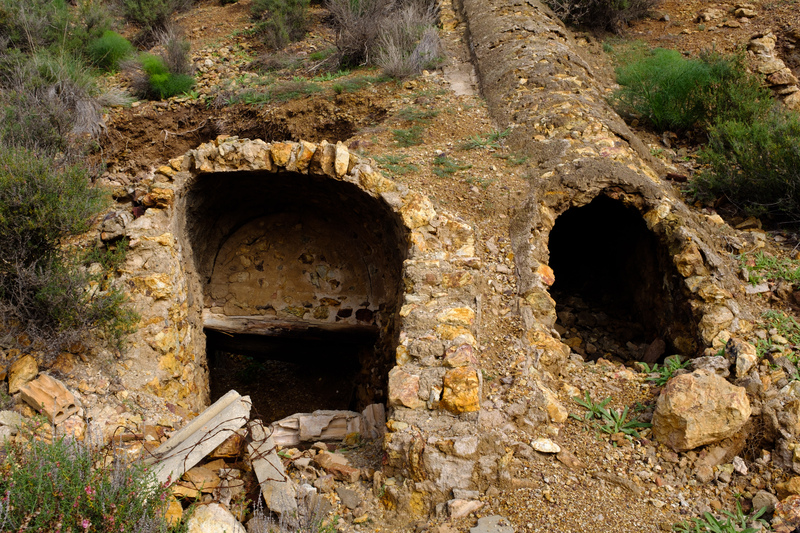 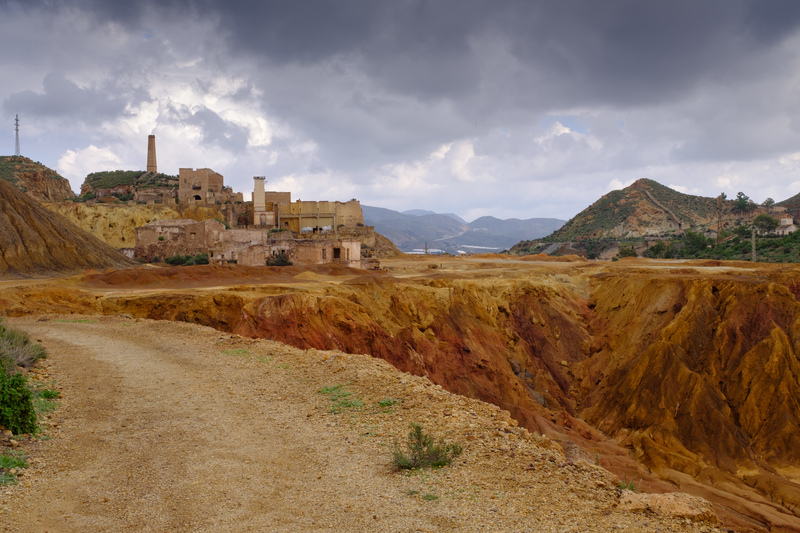 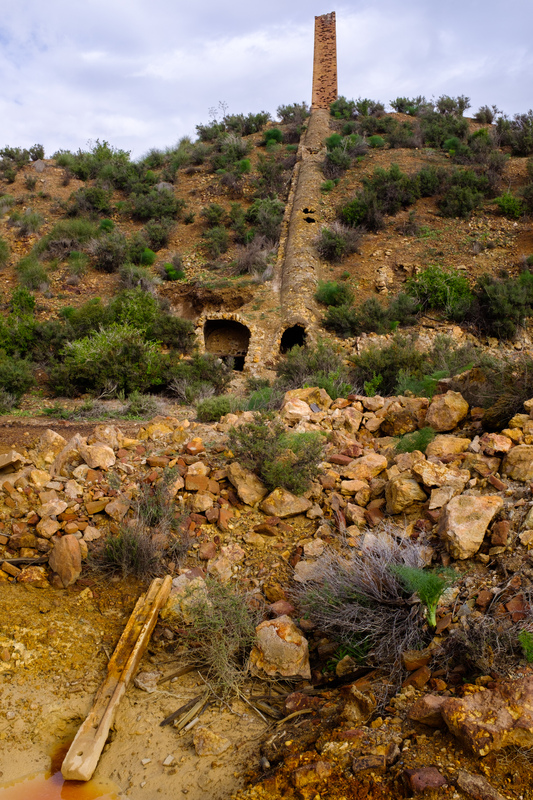 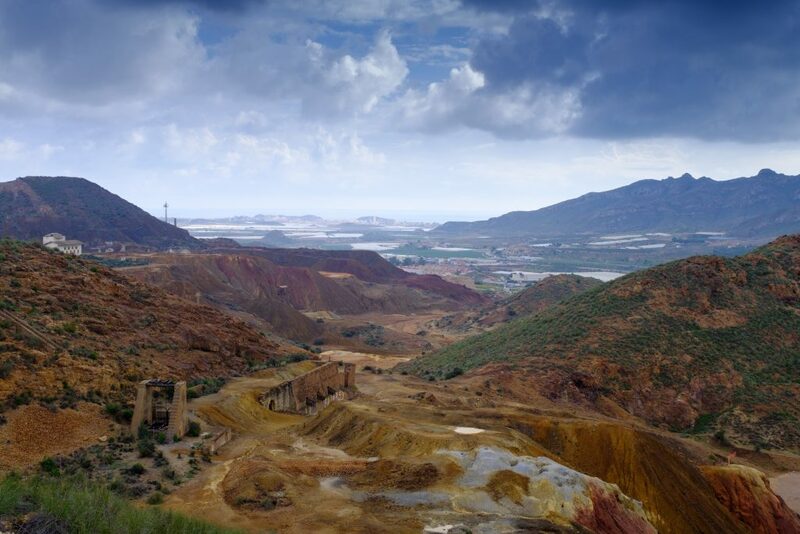 These mines have been around since Roman times. 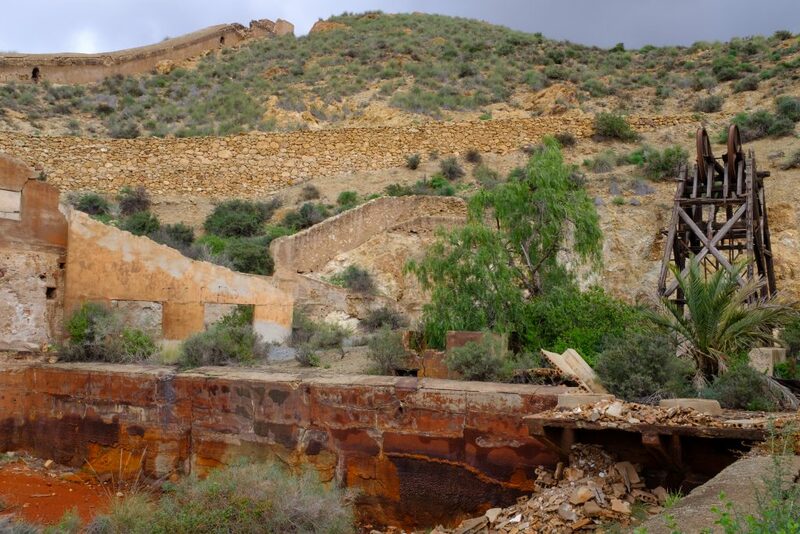 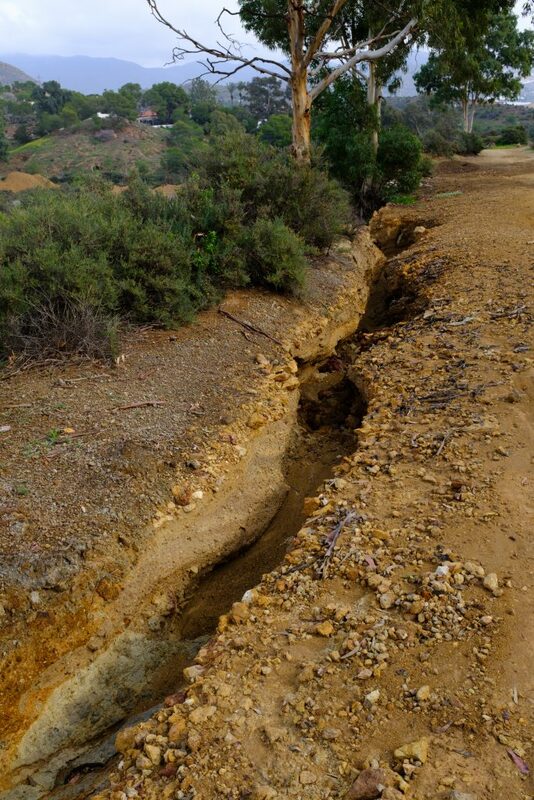 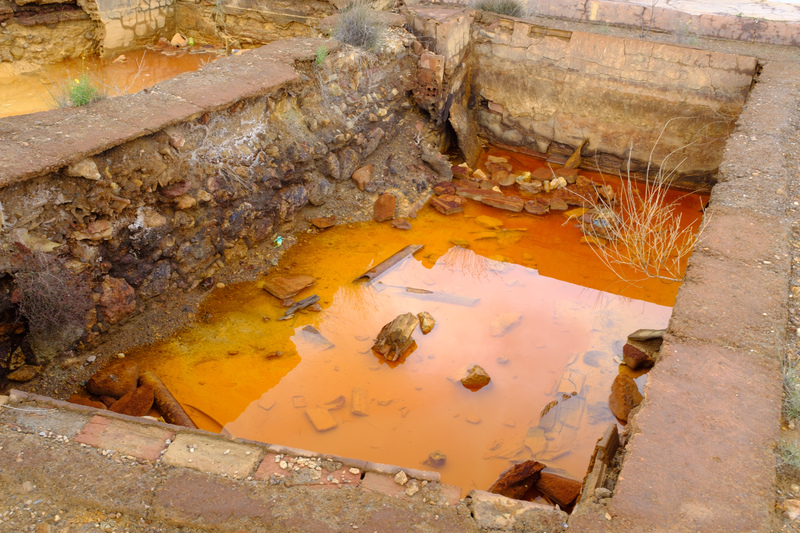 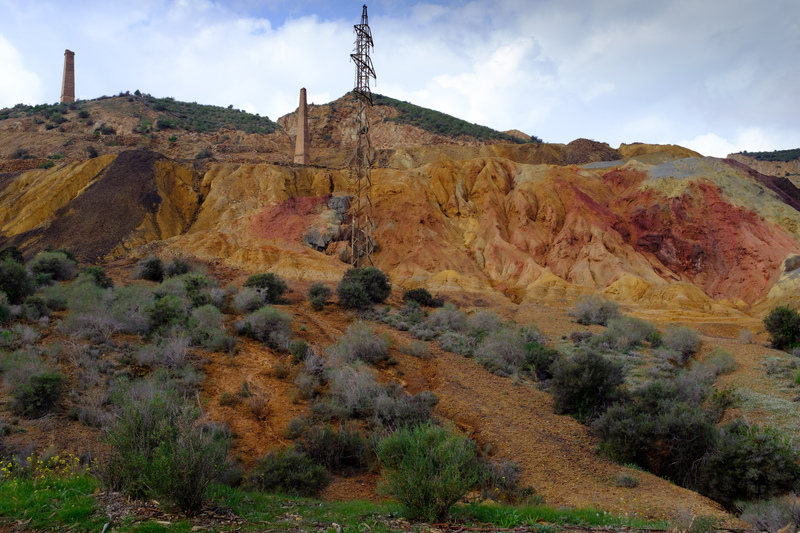 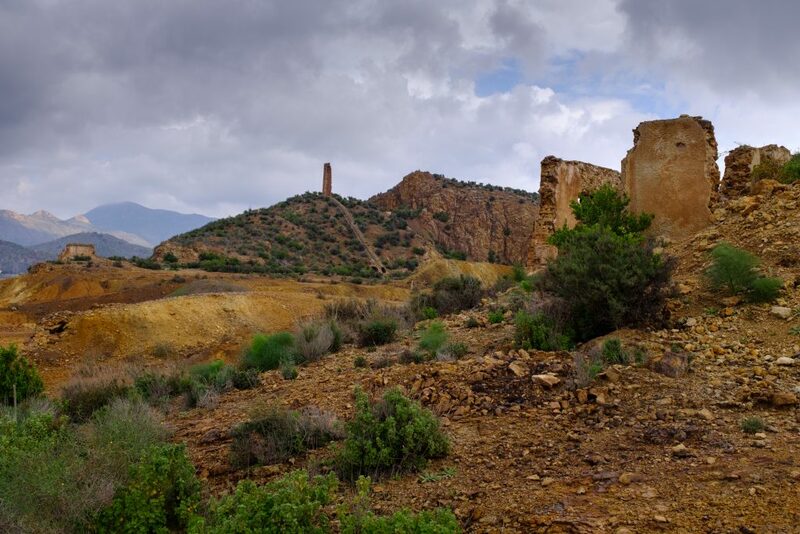 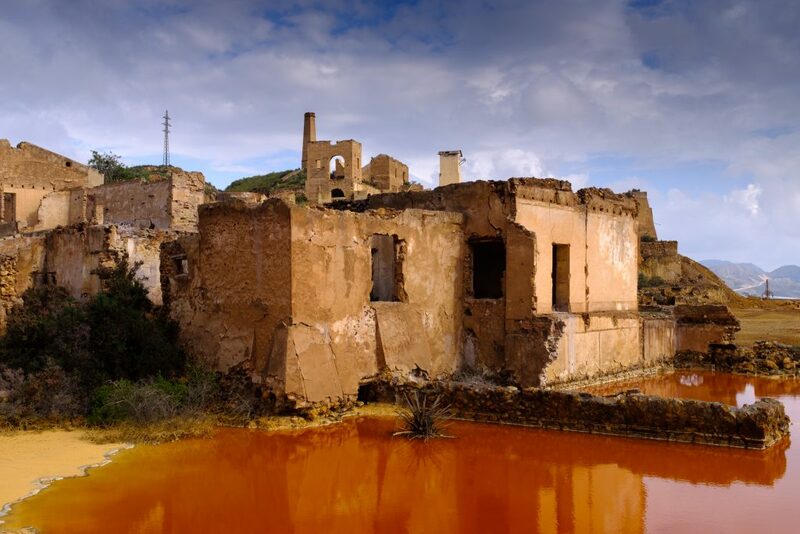 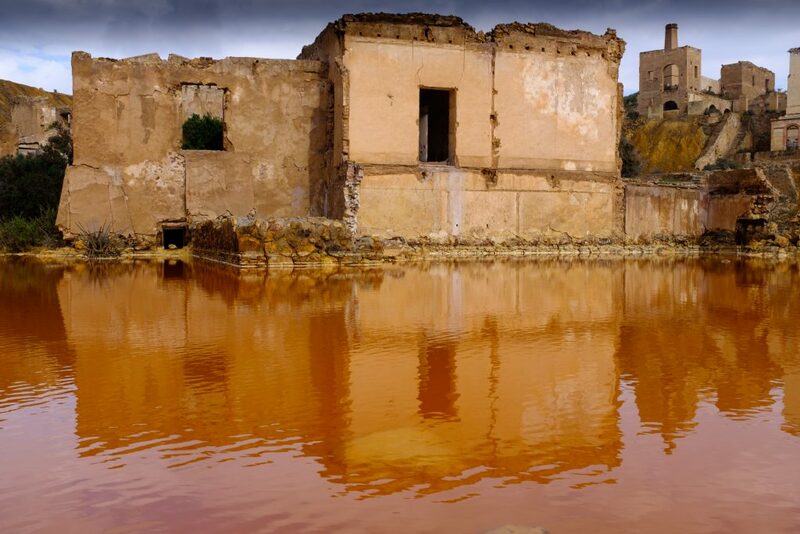 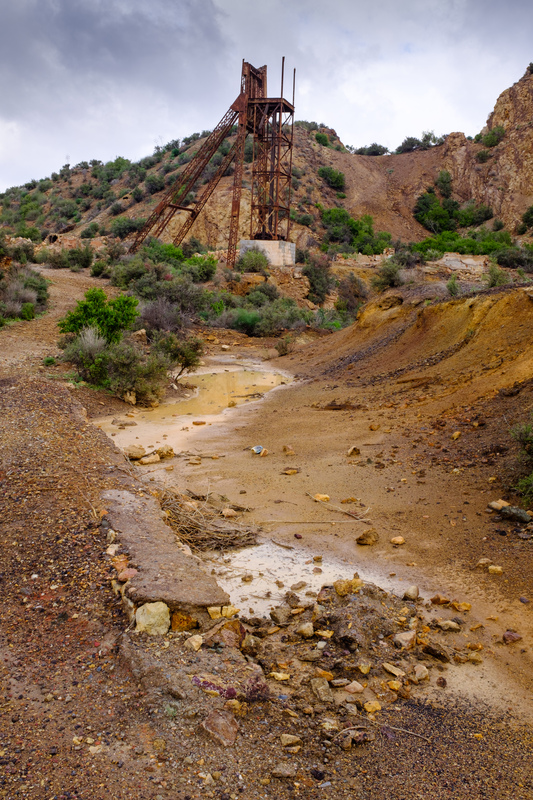 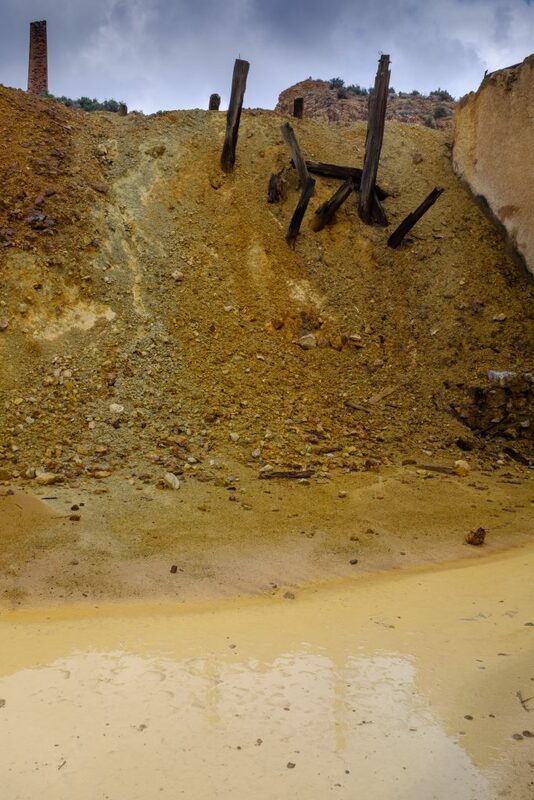 Iron, lead, copper and alum were extracted here and made the area very wealthy. 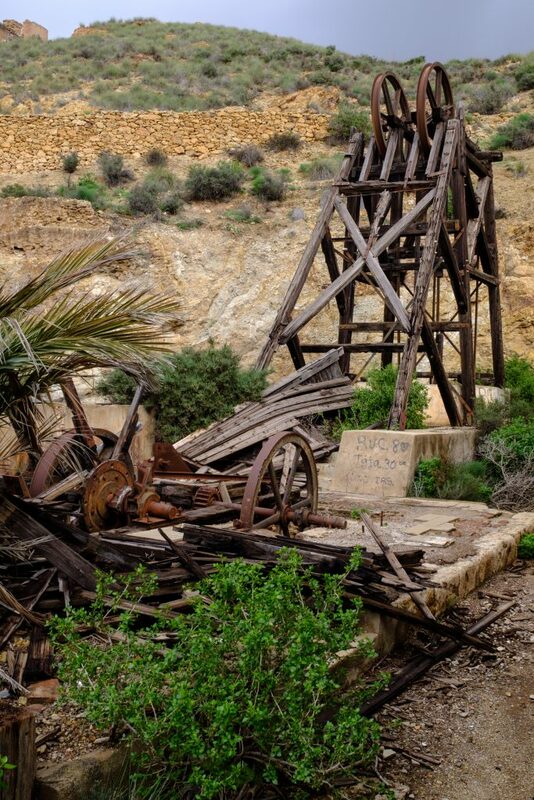 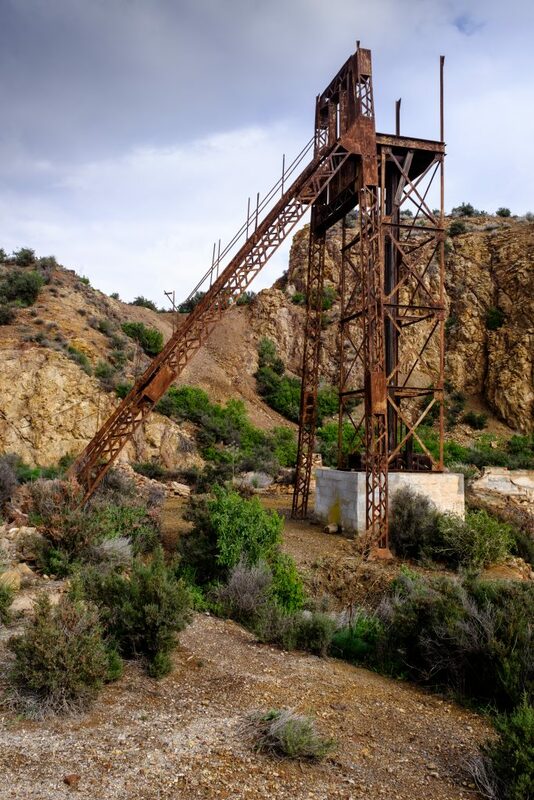 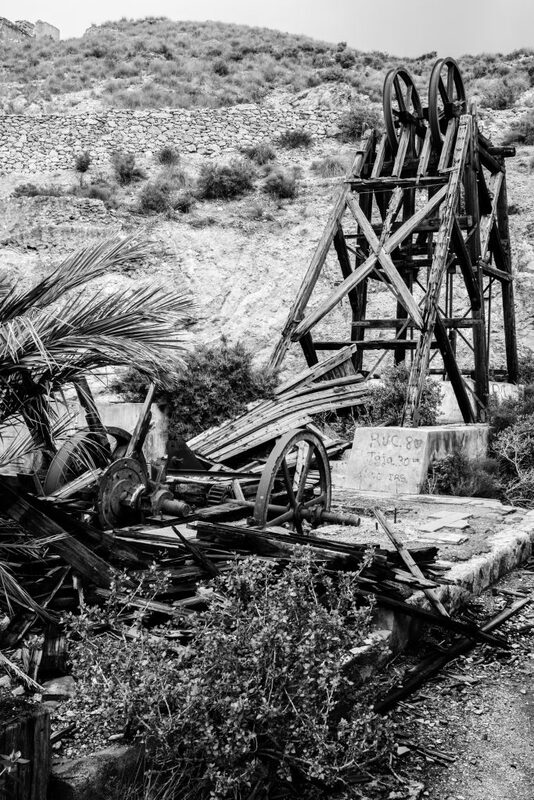 A peak was reached in the 1840’s and mining continued until the 1950’s. 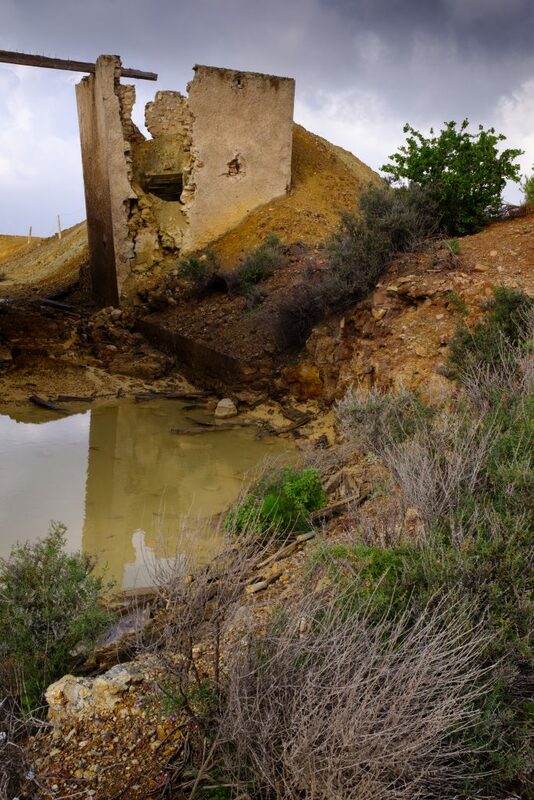 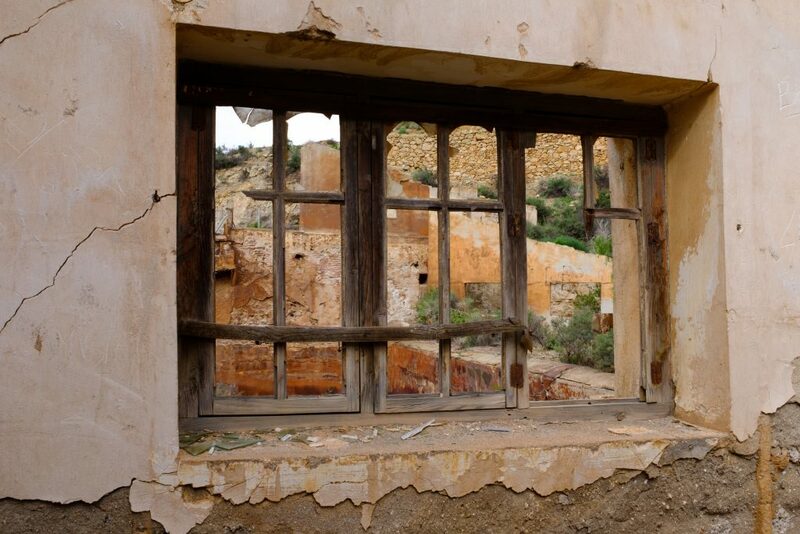 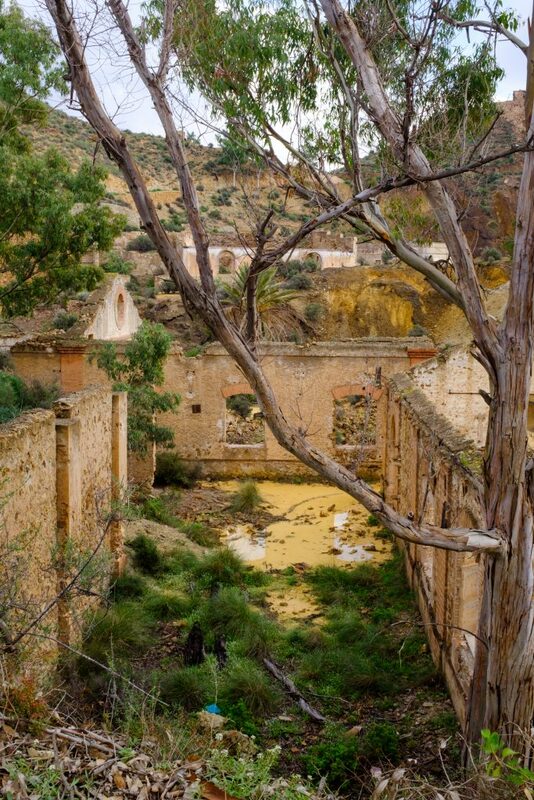 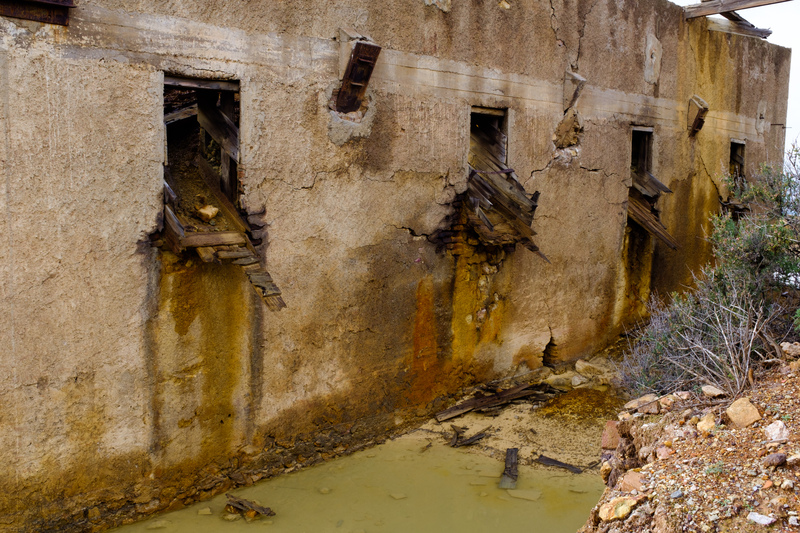 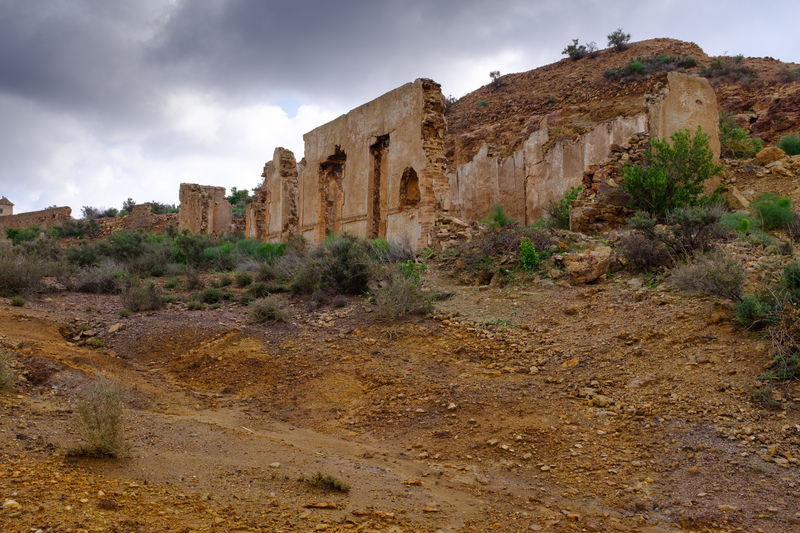 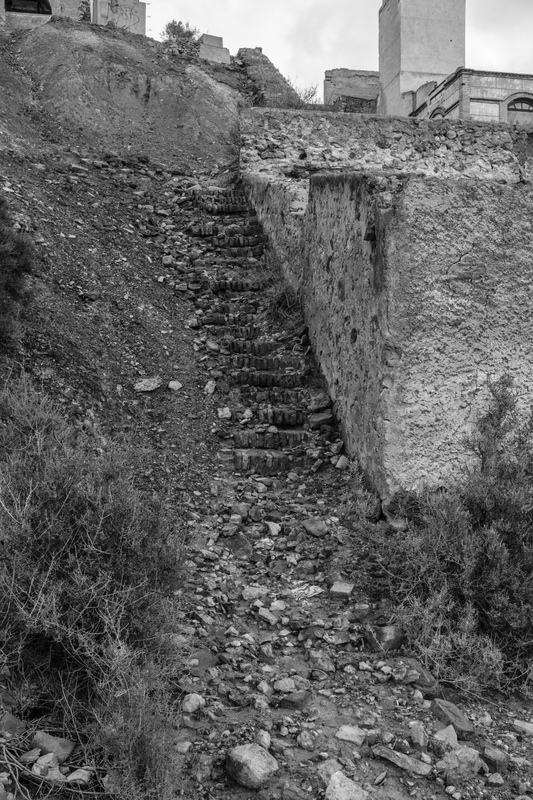 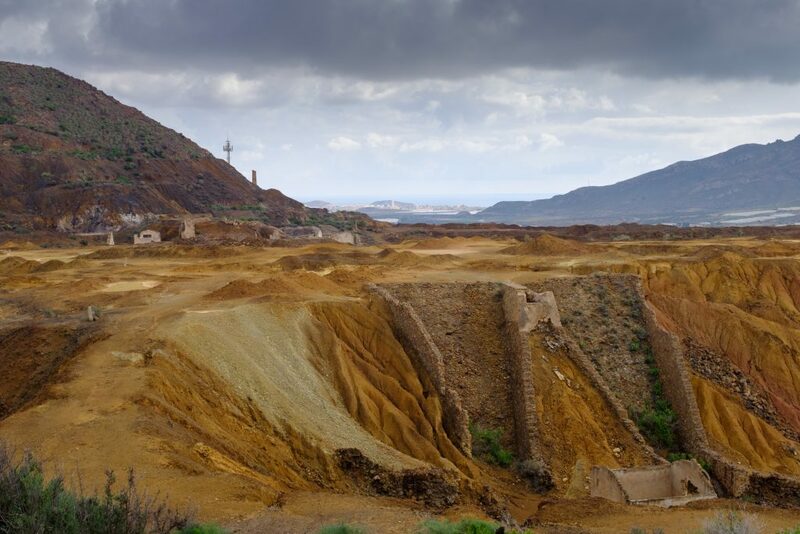 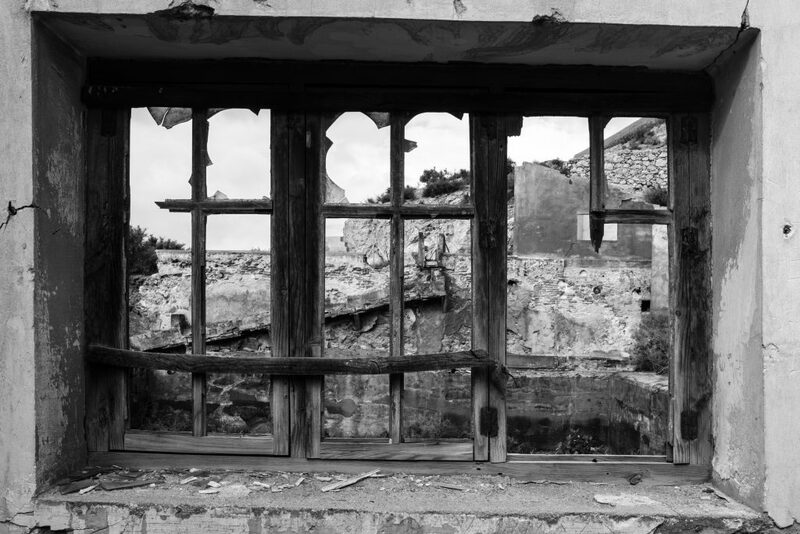 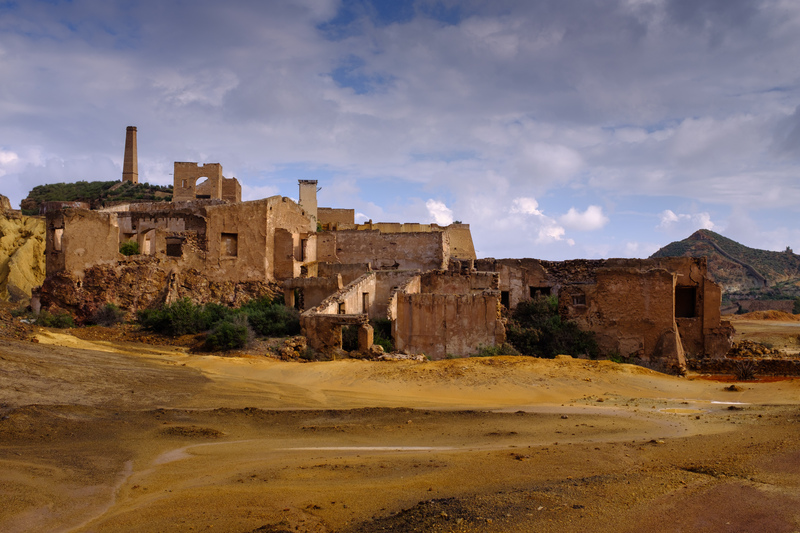 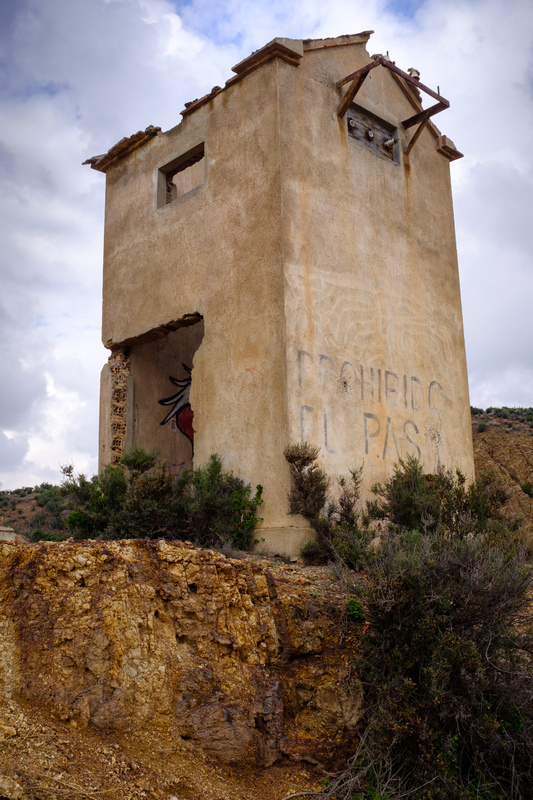 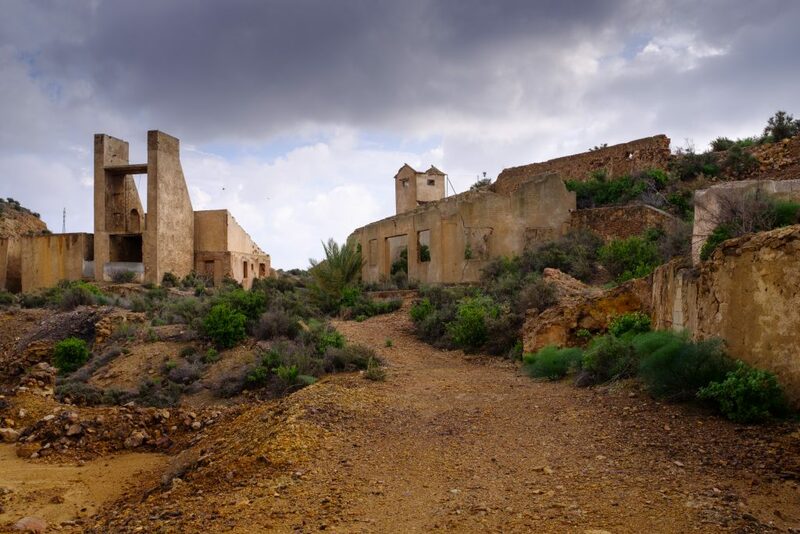 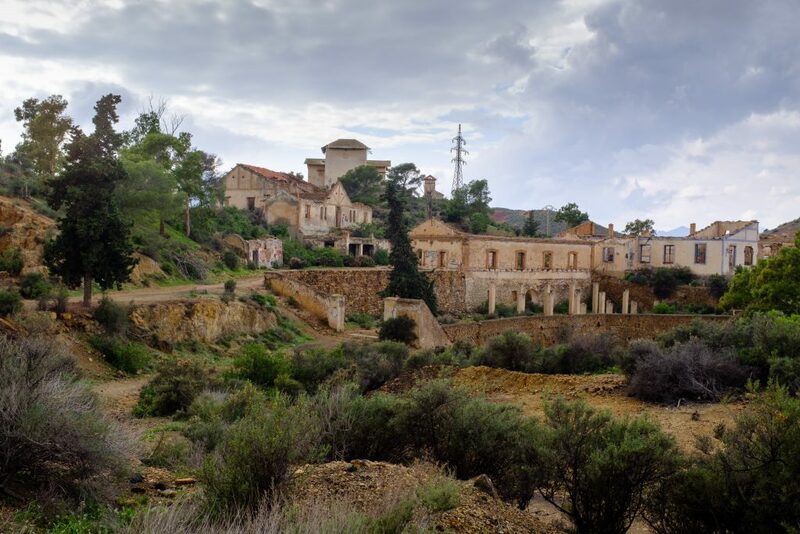 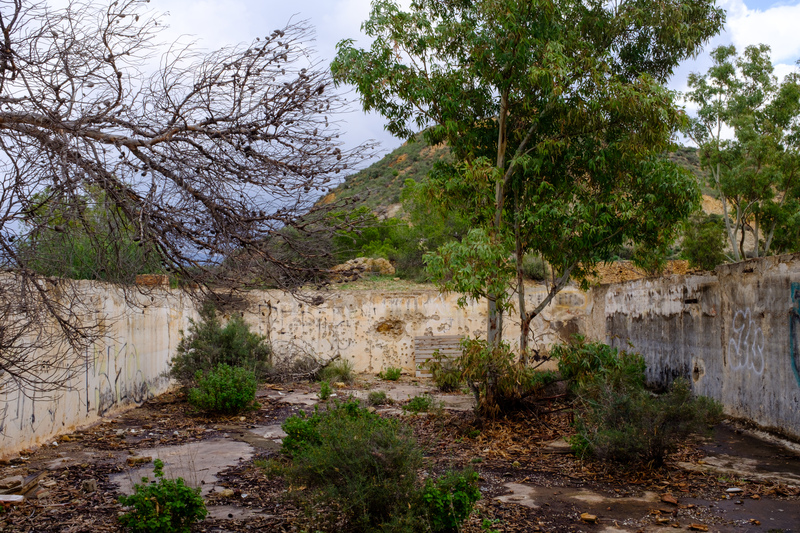 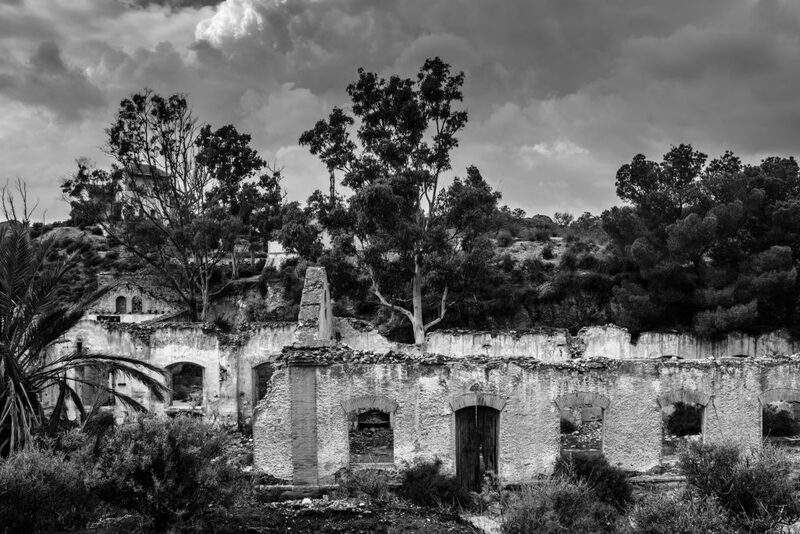 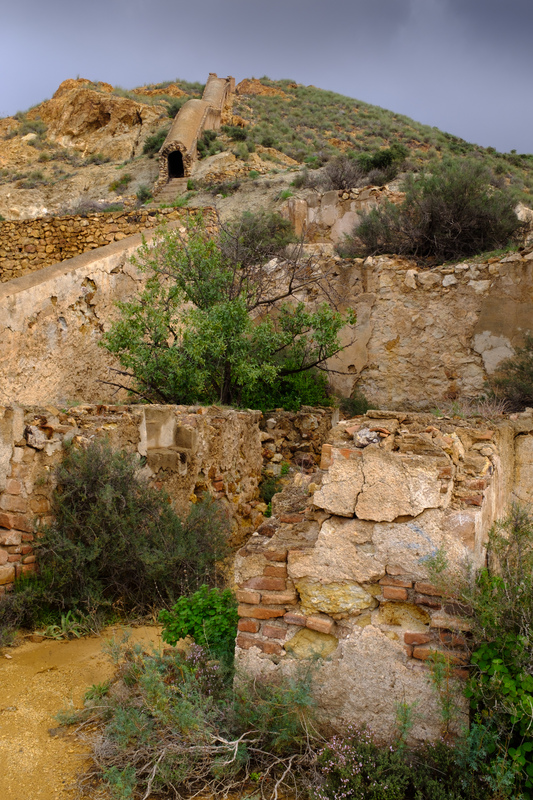 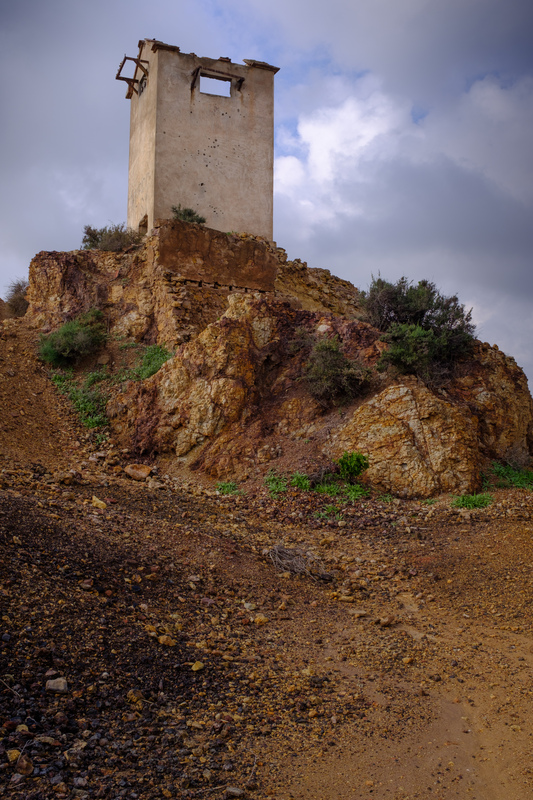 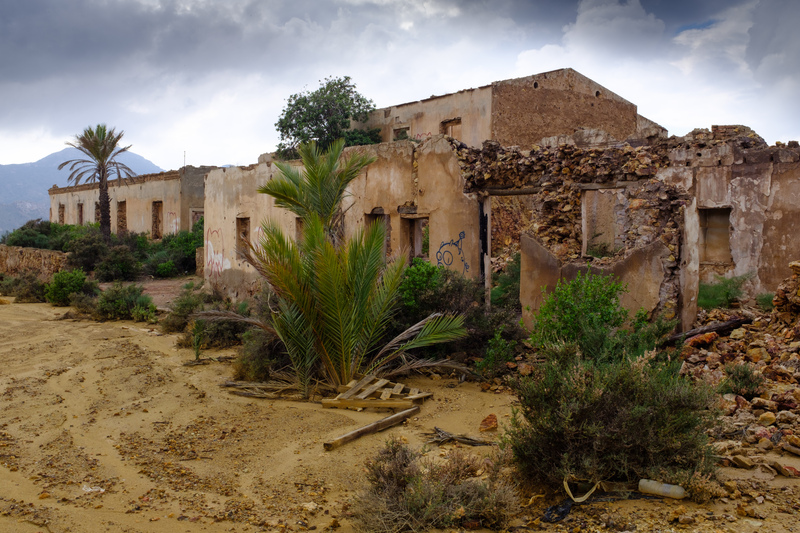 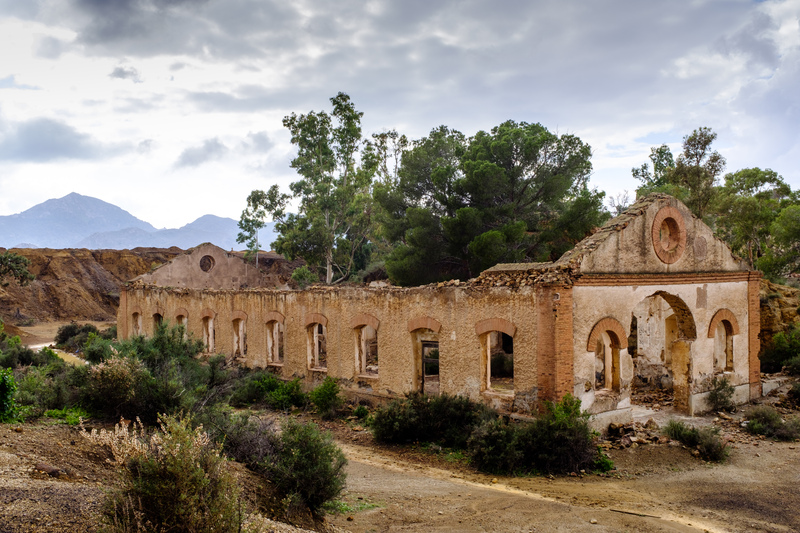 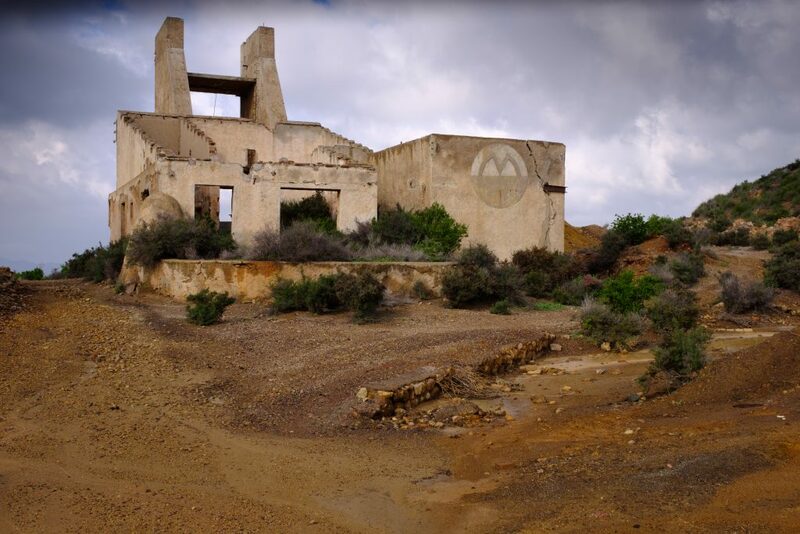 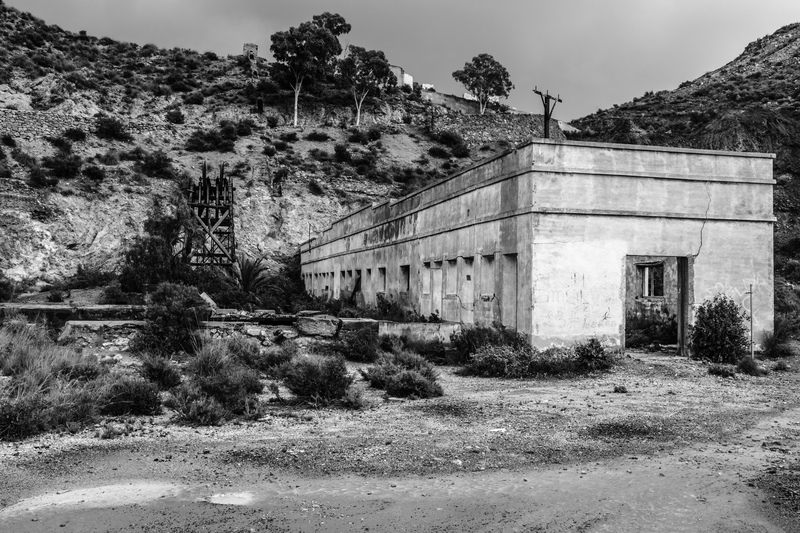 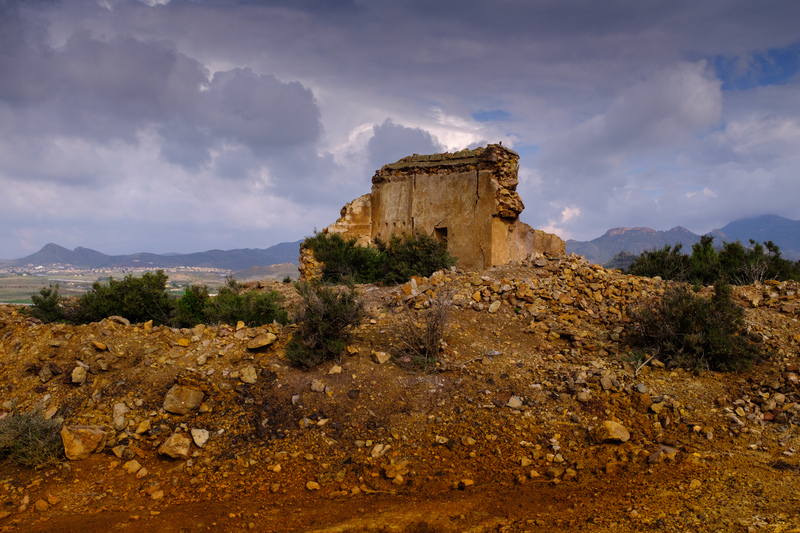 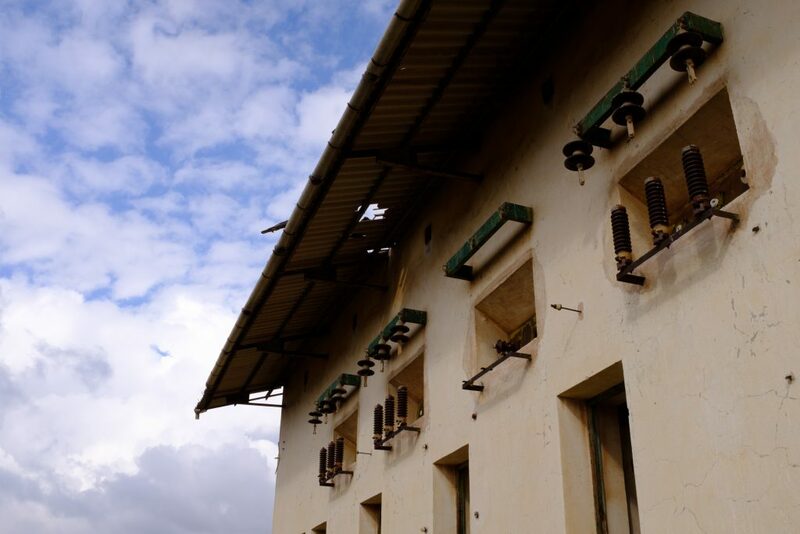 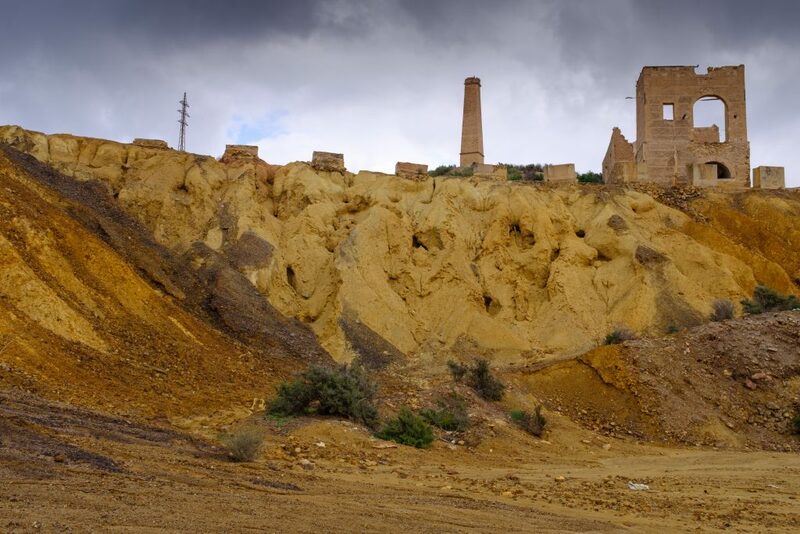 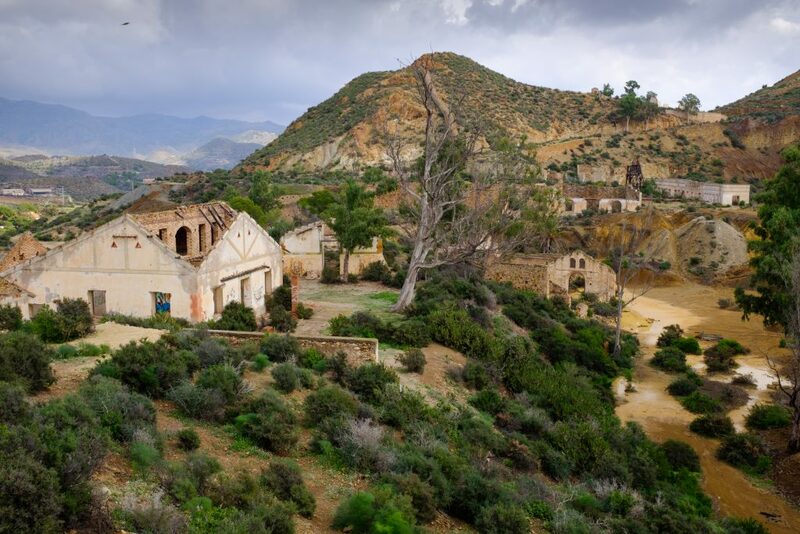 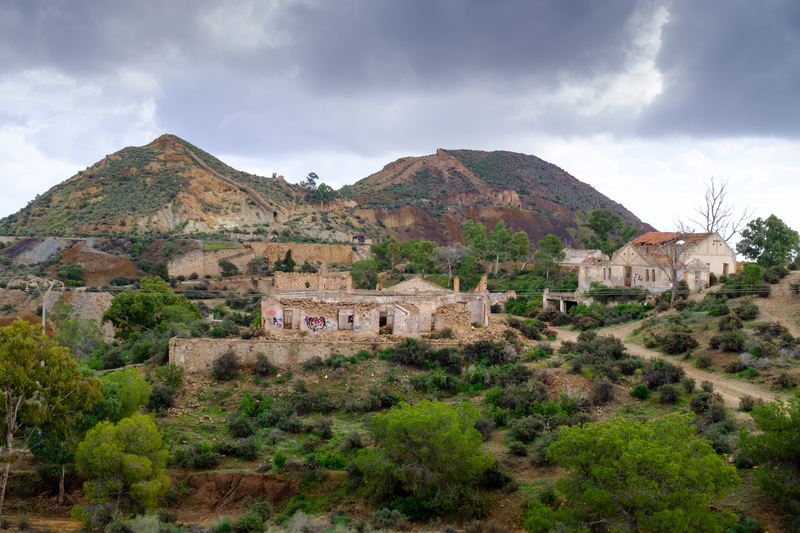 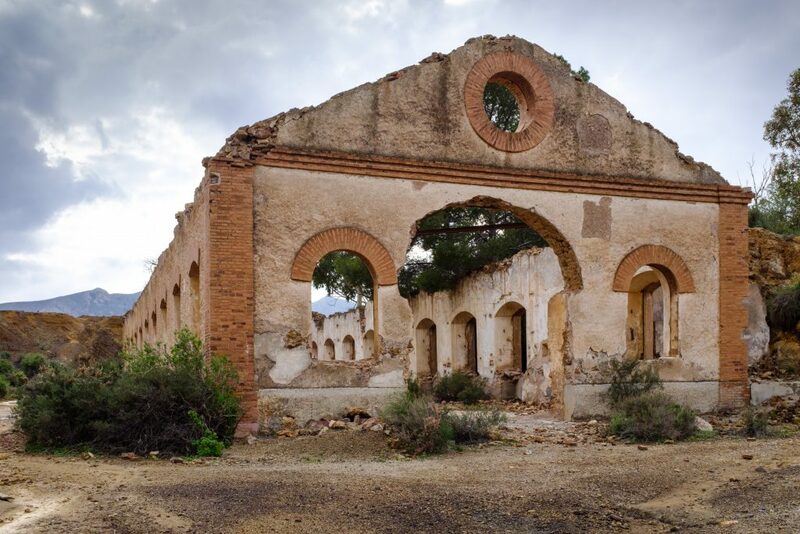 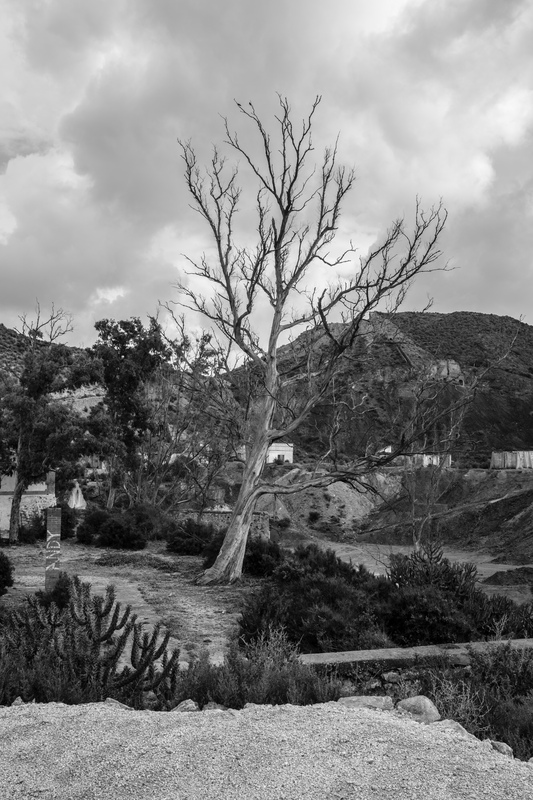 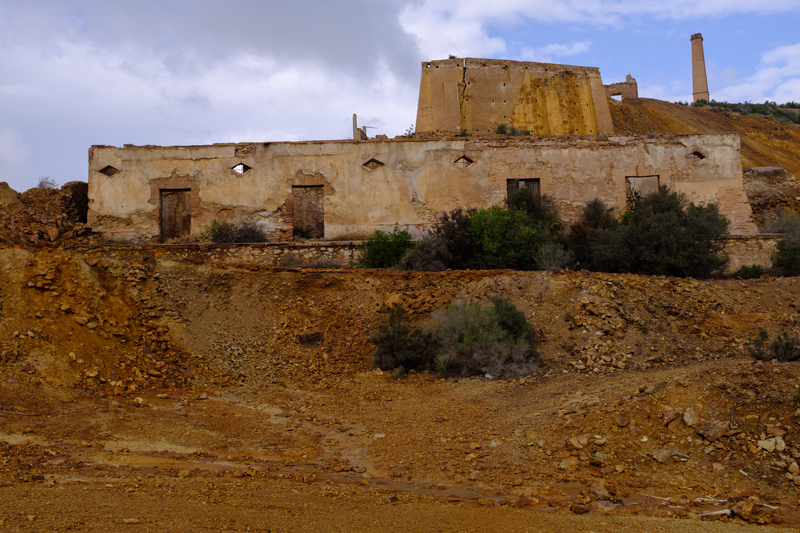 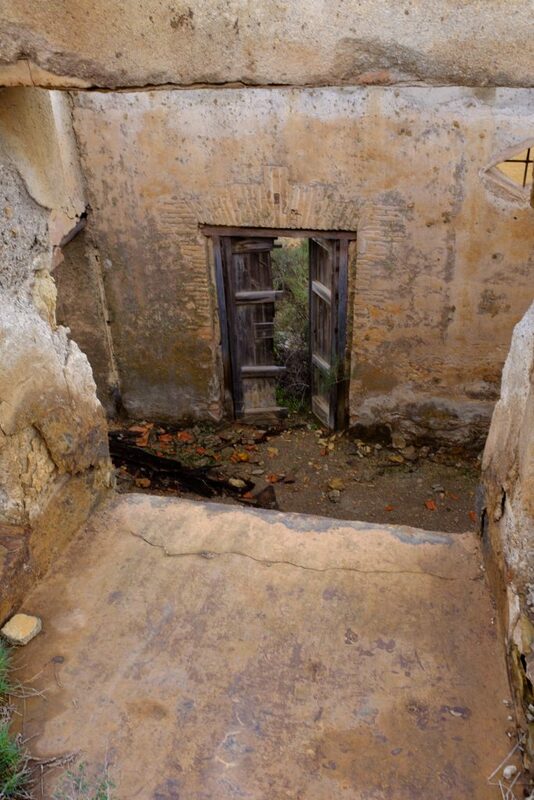 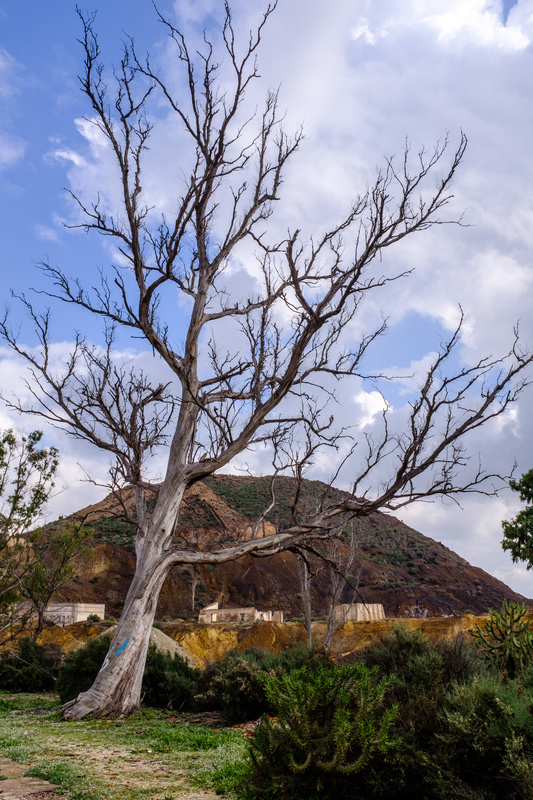 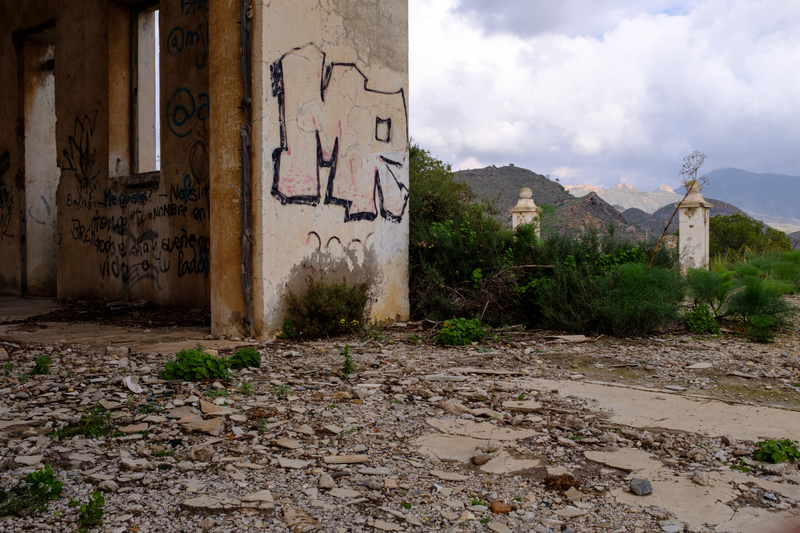 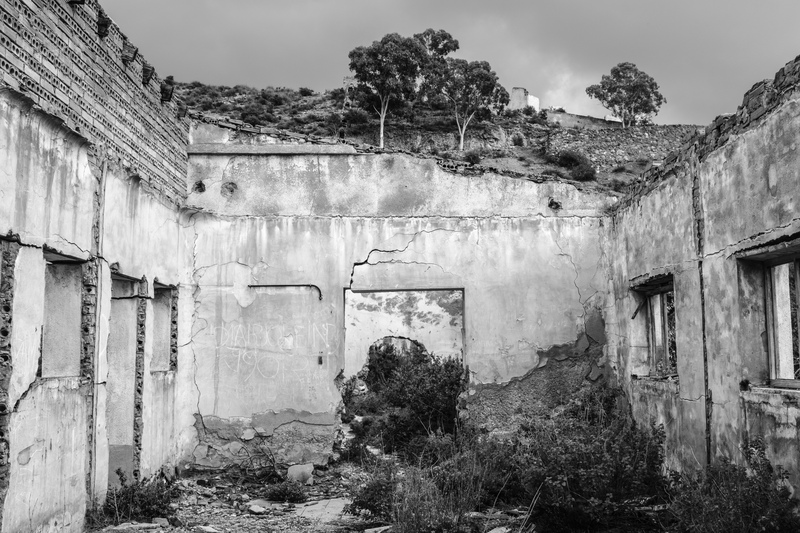 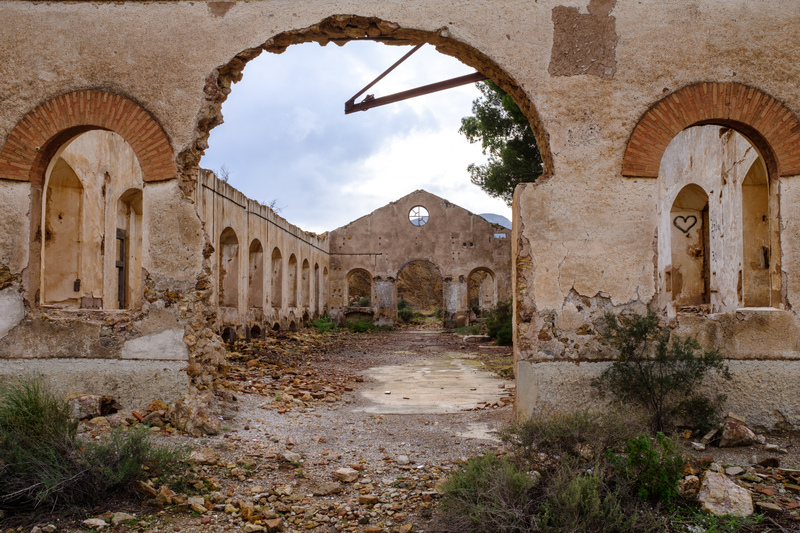 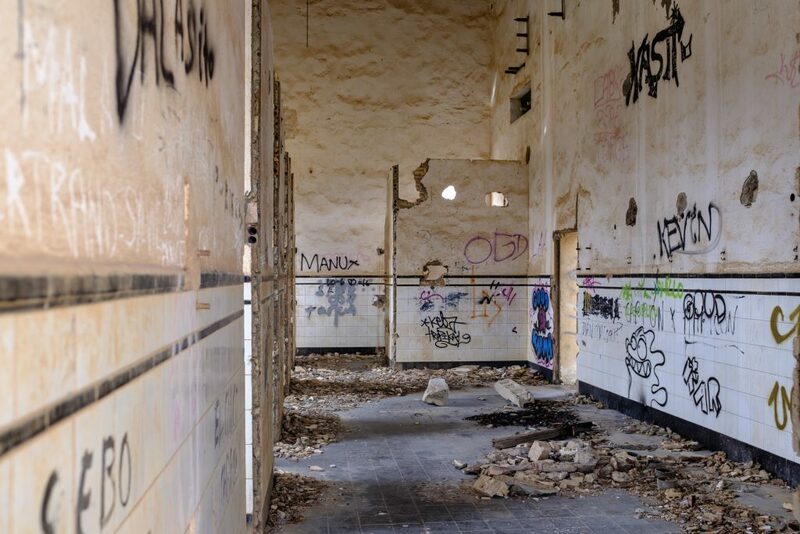 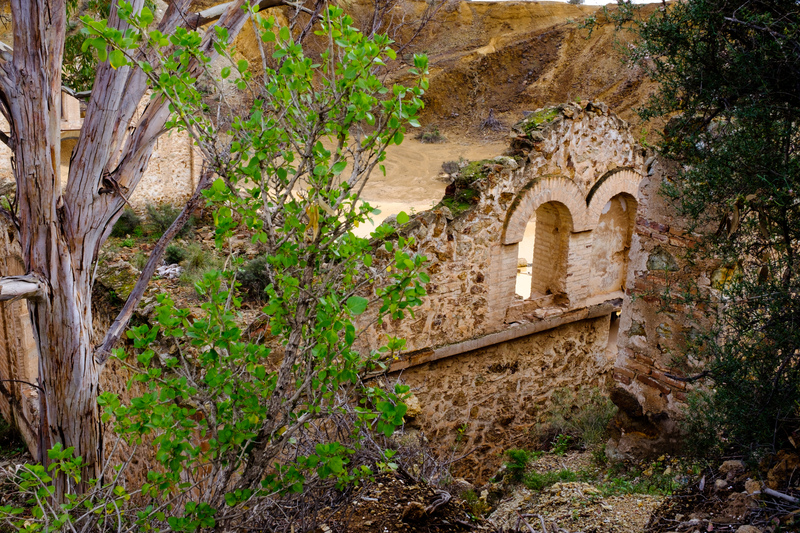 The buildings you see on the pictures are the ruines of the mining settlement of San Cristóbal. 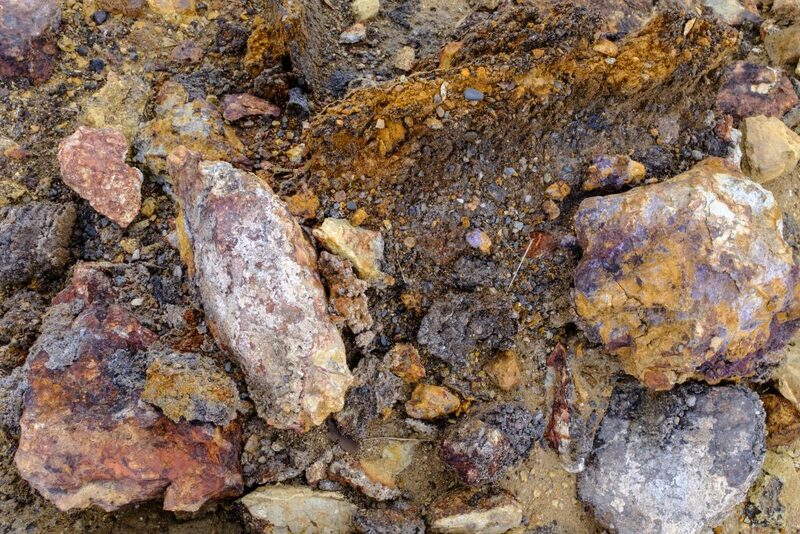 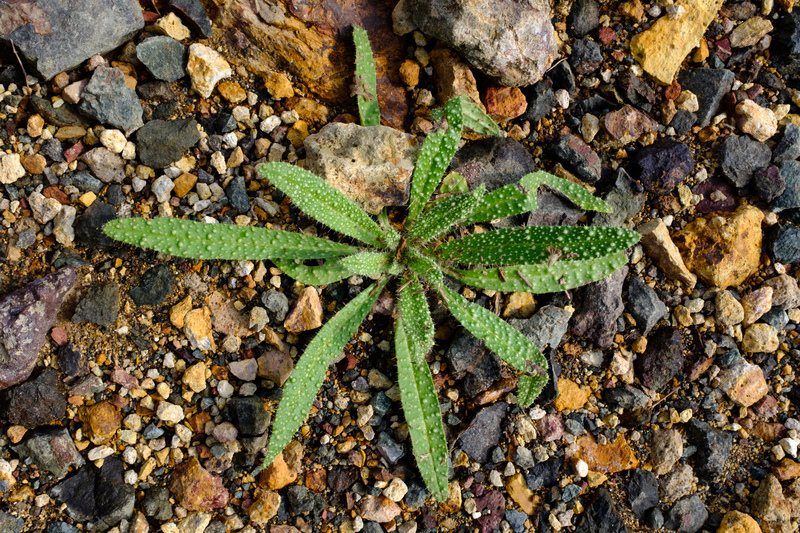 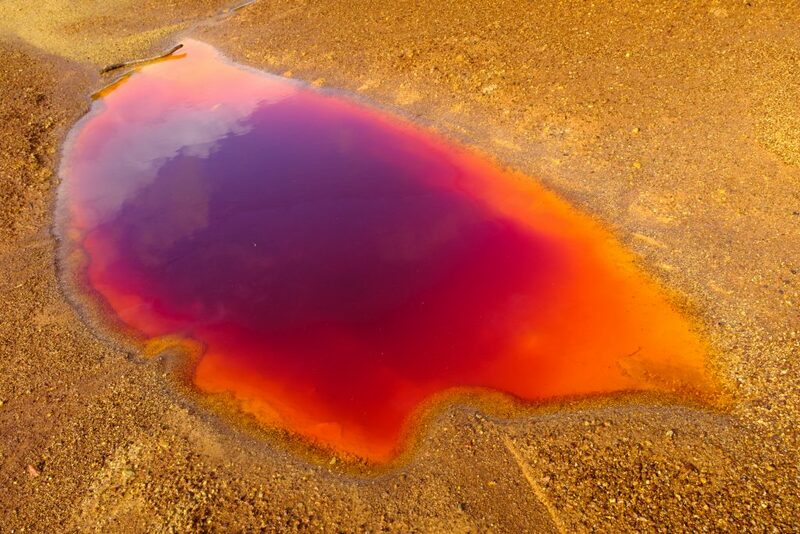 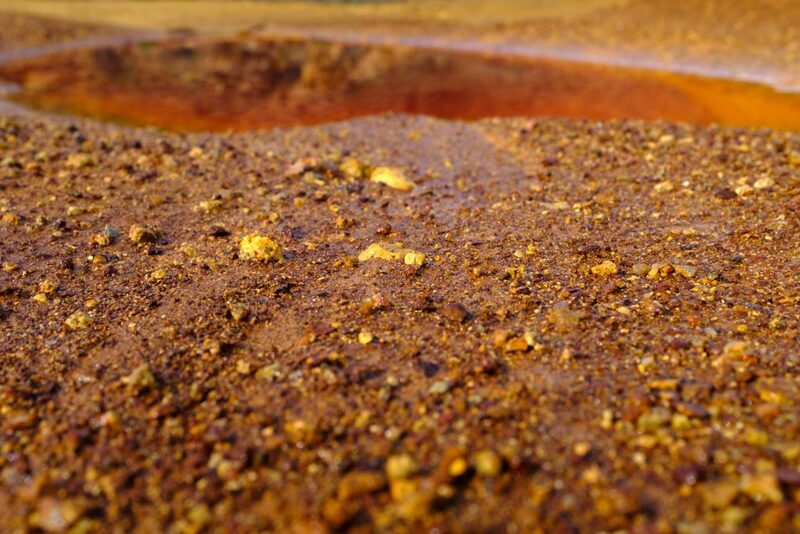 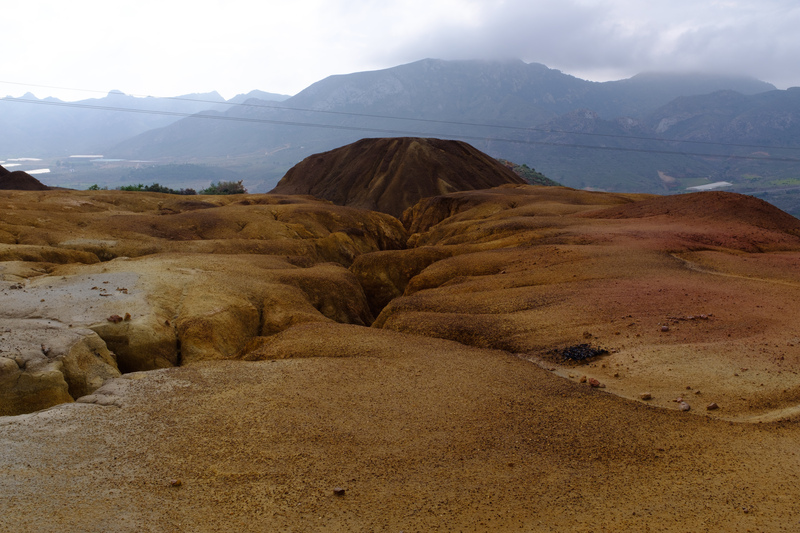 The rain came in handy as it augments the intense colours of the earth and minerals. 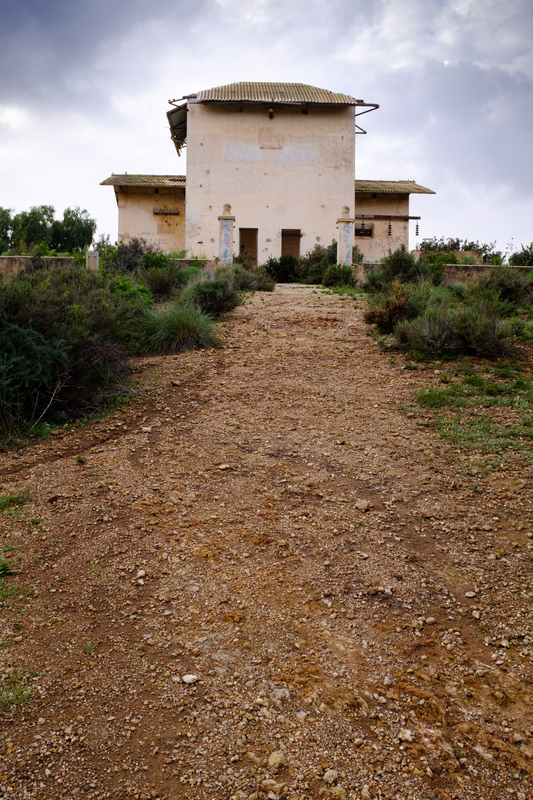 On the top of the hills you can get spectacular sights of landscapes and the city below.